Since September is "National Hobo Month", I propose that all listeners purchase a PLA t shirt and give it to a hobo. I did and by crackee I feel good about it.. Attached is a photo of a hobo that has been frequenting the neighborhood since spring. 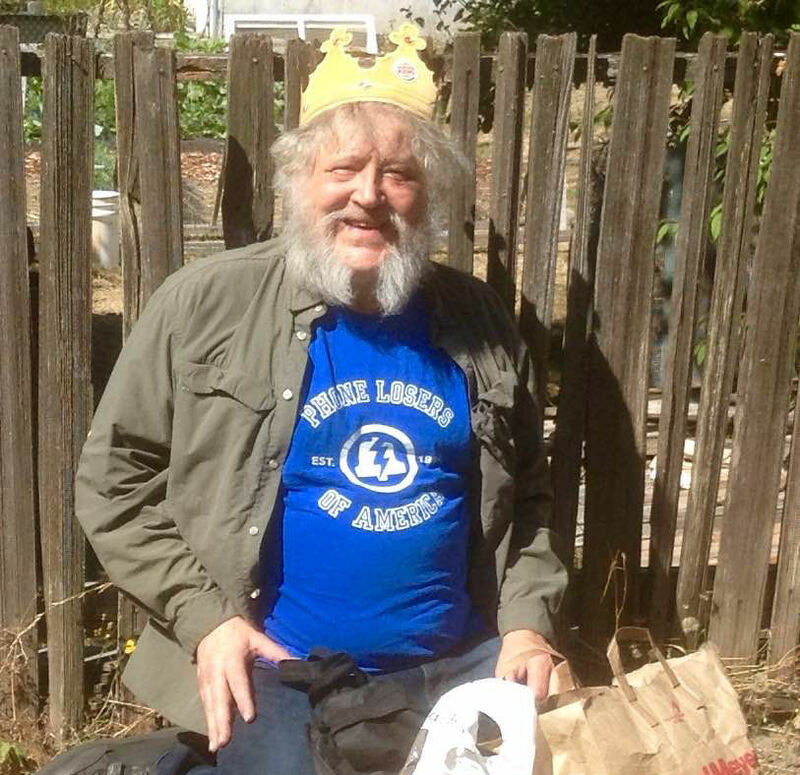 I gave him a PLA T-shirt, 5 dollars, a pack of smokes and crowned him "King of the Hobos". His joy brought tears to my eyes. I encourage all listeners when they purchase a t-shirt, buy another for a hobo of your choice . Already have a PLA Shirt, then buy another for a hobo. Make the world a little bit better. Today's show is sponsored by Gobygobygoby. This is a live show that happened Tuesday morning/afternoon while the roofers at my house added the extra challenge, once again, of talking to people while a bunch of hammering is happening in the background. In this show, I call customers of an internet provider who've recently called tech support. the bread boards and the telephones. I thought it was very funny that every one of those reseller scam artists had a jewish accent lol. Radio Shack still is here, and it is now known as a gadget shop. You can’t really find hard to find components for building stuff from bread boards these days.